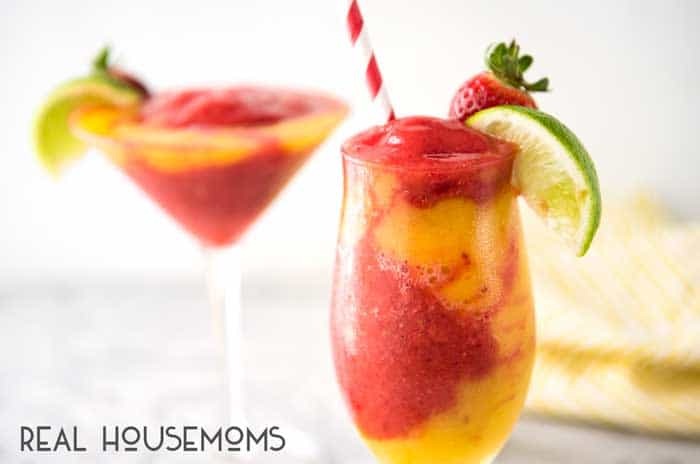 Try to tell me that you don’t want to reach through the screen and grab this STRAWBERRY MANGO DAIQUIRI! If there’s one cocktail that everyone knows, it’s a daiquiri. This is the first cocktail that I had, and the first cocktail I learned to make. In fact, I’m pretty sure it’s the first thing I made using the first blender I got when I left home. A lot of firsts associated with daiquiris! I don’t know about you, but I don’t have an enormous stash of cocktail glasses. So when I make cocktails, I serve them in all manner of glasses. Cocktail, martini, wine glasses and even normal drinking glasses. I actually love using a variety! One thing I am very particular about is getting the consistency of the frozen daiquiri right. You know when you get a frozen drink piled high, stick a straw in then end up sucking all the flavour out and end up with a pile of plain frozen ice shavings? I hate that! It’s so disappointing!! So I’m very particular about my Daiquiri consistency. It’s probably more slushy than you ordinarily see, and it doesn’t look as impressive as a sky-high pile of frozen Daiquiri. But it is much more practical because when you sip it, you’ll actually get a proper sip of slushy! I made this with strawberry and mango because that’s what I had, but really, let your imagination go wild! Use whatever fruit combinations you want! 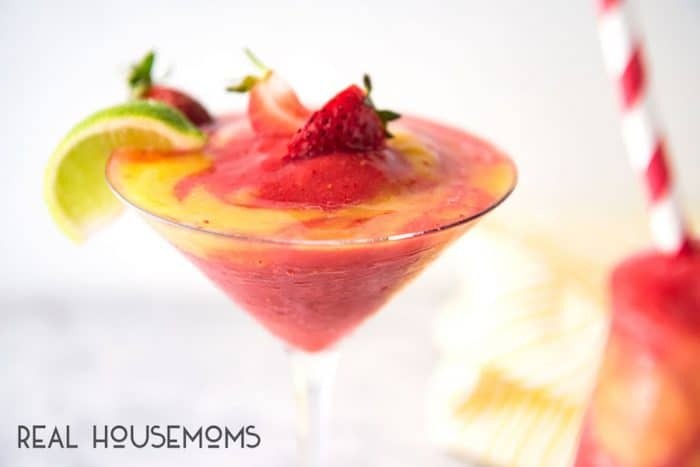 A strawberry daiquiri with the added excitement of mango!!! 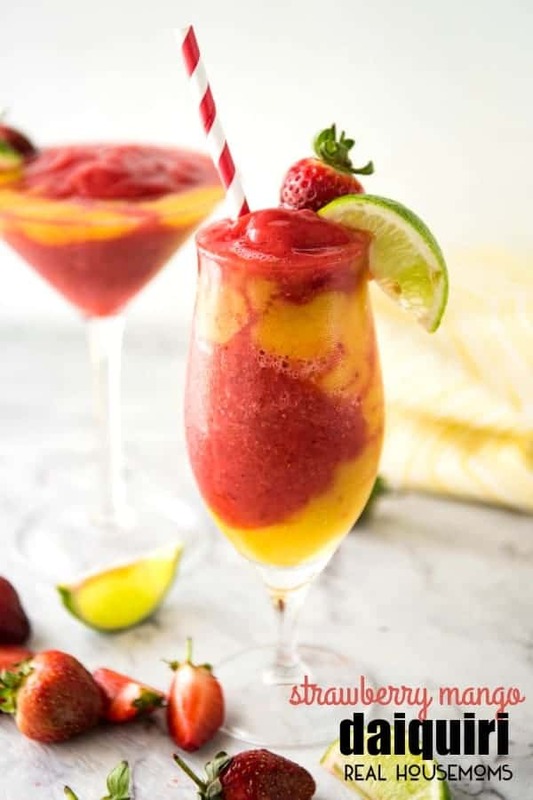 I use a combination of frozen and fresh fruit to get the right consistency of a soft slushy, making it easier to drink. However, it's optional! 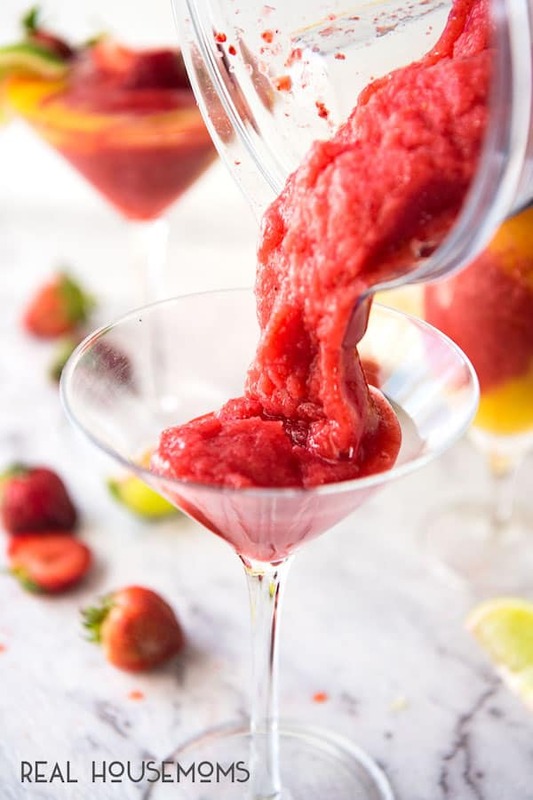 Place Strawberry Daiquiri ingredients in a blender and whizz until smooth. Adjust sweetness to your taste. Transfer into a jug. Rinse blender with water. 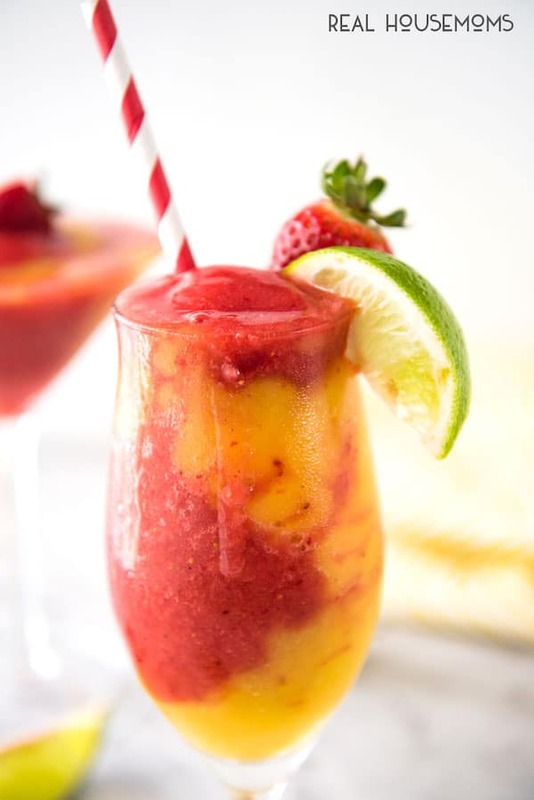 Place Mango Daiquiri ingredients in a blender and whizz until smooth. Adjust sweetness to taste. Fill half the glass with Strawberry Daiquiri. Tilt slightly then pour in some mango. Top with a dollop of Strawberry. Garnish with lime wedges and fresh strawberry. I wait for mango season whole year so this one is perfect to enjoy while mangoes last this season. 🙂 Love refreshing pictures, Nagi! pinning!